Hi, what was your predicted cruise IAS and your predicted cruise Mach? Could it be that you cruised directly at the changeover altitude? This might explain your issue. Please let us know if the issue happens again on another flight or if this was a once off event. Thanks for the report, we will check this out. Chances are something might interfere here with the logic of flight plan sequencing when entering the same waypoint twice in the FPLN. Have you checked your charts to see if this transition is indeed available for your approach? wenhace seen some cases by now where Simbrief assigned an arrival which was only for propeller driven aircraft which did then not show up in the Airbus database. Thank you, is this the first time you see such behaviour, or did it always do that? what happens if you try it at another waypoint, just for testing purposes, so that we can isolate the problem? Hi, do do you get any message or anything when you try to add the three mile ring and it does not work? Alright, I think I know what the issue is here then. First of all: The Airbus does indeed read the constraint from the navigation database and that is a good thing. For its predictions however it seems it does not take them into account. Now as you can see on the screenshot after takeoff which you posted there is actually a magenta level off arrow. So it seems the Airbus would indeed level off at the constraint altitude. It would be interesting to see if it actually levells off or just busts the altitude though. One bug here for certain is that the PFD does not reflect the level off altitude and I'll have that one checked by the developer. I think this is what causes the overall issue here. Thank you for your detailled reports, I'll have those checked out by the developer now. Hi Phil, we can confirm that selected speed is not to be used for takeoff. I think it was a bug in the old one, anyway it is absolutely against SOPs to use selected speed for takeoff. You always have to use managed speed. What would you want to use selected speed for anyway? As Bob says above, a MANUAL leg will only show if you have a vector leg defined in the procedure. As the chart Bob posted clearly shows this is not the case here, the arrival simply ends at NERAS. You're welcome. I hope this clarifies some of the doubts you had about these procedures and why this particular one is not in the database. Your video is indeed two years old and since then most procedures at Madeira changed. Even the chart you show dates to the 14th June, effective 21st June 2018. Things have changed since the time the video was taken. Then, there are some procedures which are not in the database on purpose - for example because they are not allowed to be flown in NAV mode, but have to be flown with conventional navigation, for example because they might be terrain critical and there have been a certain number of incidents in the past where airplanes had issues following them. That's part of the reasons why I could imagine the procedure being removed from the dataset. Since this is a Circling approach it does not surprise me that it is not in the database. Few circlings actually are. 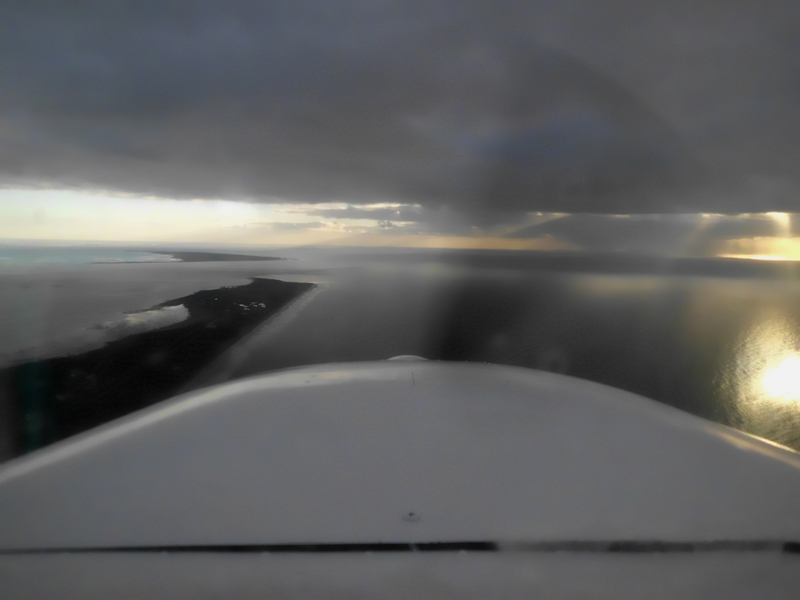 All the approach beyond the position abeam the ruwnay has to be flown visually. That means without FMS anyway. There is an RNP AR approach to Madeira if I'm not mistaken for those who want to fly it RNAV. Note however that few operators have approaval to fly RNP AR at this moment, so chances are even if you have that in your database you are still not allowed to fly it. Hi, are you using an SLI setup? could you try to deactivate SLI and see if that fixes the issue? Sorry for getting back to you so late. What is shown on the VERT REV page of those waypoints? when he constraint is a between constraint the FPLN page could show you the actual passing level, in that case the VERT REV page should still show you the rightnentried though. regarding the ignoring of the actual level I'll forward that one to the developers. We just have to determine if it is actually an issue with the constraint just not being read or with the known constraint being ignored. Hi Chris, the condition mentioned by Hans only has to be fulfilled once, so if you set the thrust levers into he ground and then reduce to CLB in Climb everything is fine. Of course your do not need to climb up to cruise level in TOGA mode. Hi Darryl, a painter can of course simply increate the size of the texture file. You can take any 1024 file and make it 2048 or 4096. This will however not change the looks of the aircraft. When the painter takes the time to redo all the small details in the greater resolution it will of course look much sharper. That's what I did when I painted the HD VC for the older Airbusses. I can assure you it is a LOT of work though. There are some great painters out there however whom I could imagine to do a great job at this! Looking at the pictures we can say the following: Pictures 1&2: It seems you just engaged the AP, that's why it's still climbing at that rate. If you activated the AP when you were climbing at that pitch already it will take a bit of time until it can correct for it. It won't push the nose over like you'd do in a glider when the rope of the whinch ruptures. Picture 3: You then switched to V/S, but the thrust levers are still in FLX. Thus the Airbus can't reduce thrust and you start running above your target speed. Picture 4 then looks normal, everything as expected. Then there is definitely something wrong on your system which is not even weather related as the MAP mode scans the ground and will show you returns from terrain. So your issue is not weather addon related but something general with your simulator or Airbus installation. Try a reinstall of the Airbus for the beginning, maybe that fixes it already. Do you get any returns (indications on the display) when switching the radar to MAP mode with the aircraft in flight? Does the MAP mode of the radar work when you are in flight? Take a look at what SkyForce indicates at the top of the program. It tells you the status of the different options, like weather engine, live synch, etc. Together with the SkyForce internal weather engine or default weather with just the SkyForce live cloud injection? I've tried just SkyForce, SkyForce with ASP4 and SkyForce with FSGRW. All went without problem. I understand you are using only SkyForce, right? Can you recreate this on several flights or was this just a one off situation? I never had problems with our WXR and SkyForce. And you are sure you actually have rain in your simulator? Keep in mind the radar can only show reflections from rain. If there is no rain there are no returns, regardless of how dramatic a cloud may look.